Our living environment is becoming increasingly contaminated: waste and pollutants in sewage and exhaust fumes have a negative impact on our quality of life. This is one reason why technical environmental protection is gaining importance. It plays a significant role in climate protection, energy efficiency and the conservation of natural resources – considerable challenges both now and for the future. 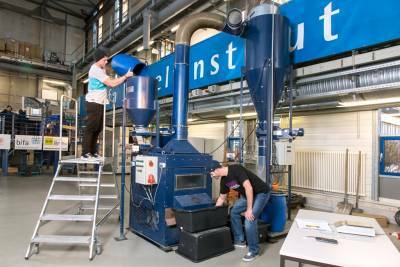 Graduates of the bachelor’s degree program in Environmental and Process Engineering can help to shape this future. Undergraduates on this seven-semester course are trained in the fields of engineering and technology at Augsburg University of Applied Sciences. This training includes several areas of science and is structured as an integrated, interdisciplinary program of study. The main focus of the course is understanding processes that occur in nature and technology and use process engineering to develop solutions. Process engineering is defined as the conversion of matter through mechanical, thermal, chemical and biological, and nuclear processes. The matter can be in gaseous, liquid or solid. Process engineering uses around 60 basic operations that can be applied both in environmental engineering and in the production of mass goods such as cement, gasoline, paper, cosmetics and beer. The syllabus of the bachelor’s program in Environmental and Process Engineering includes scientific and technical foundation modules in the first two semesters, which are expanded in the 3rd and 4th semesters to focus on their practical applications. Students then spend their 5th semester doing an internship in industry, where they can put what they have learnt into practice. In the last year of the degree program (6th/7th semesters), the budding engineers are encouraged to specialize: the wide range of required elective courses allows specialization in the fields of environmental engineering or energy management. Environmental and Process Engineering (B.Eng.) graduates are in great demand and their career prospects are extremely diverse. They are just as competent in the construction and development of environmentally sound machines as in the production of instruments for environmental engineering, in the service industry or in the field of consulting. Their fields of activity include mechanical engineering and plant construction, the chemical and pharmaceutical industries, the food production and biotechnology sectors, the automobile industry, public utilities and waste management companies, engineering companies and planning agencies, and the public sector. The region of Augsburg is regarded as an outstanding international cluster in the field of environmental engineering, with businesses and institutions such as the Bavarian State Office for Environmental Protection (LfU) or the Bavarian Institute for Applied Environmental Research and Technology (BIfA). There are over 500 businesses in Swabia, the administrative district in which Augsburg is located, that rely on the expertise of environmental and process engineers. As a result, there is a great demand for qualified professionals in this field. Prospective students of environmental and process engineering should demonstrate a good understanding of technology and an interest in science, as well as being inquisitive, imaginative and creative. The application procedure takes place once a year. 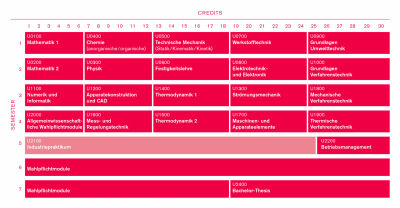 The course begins in the winter semester only. The application period is from 2 May to 15 July (final deadline). Do you find that the practical focus of the courses in our faculty is not enough for you? Would you prefer a closer tie between theory and practice? Degree program with in-depth practice: intensive practical experience in a company (semester vacation, internship for a semester) supplements the Environmental and Process Engineering degree program.